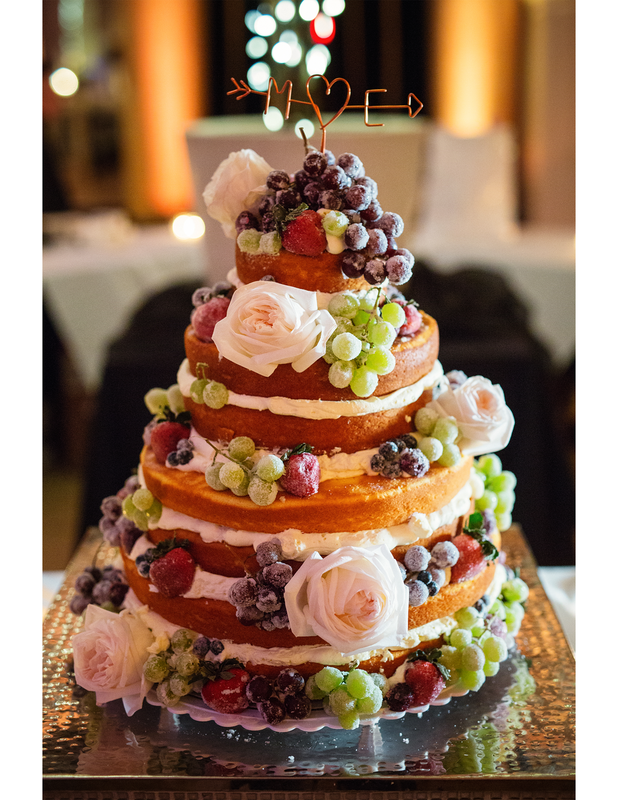 While the idea behind them is the same (slice, serve, eat... feel guilty later) their are a few important details about "naked" cakes that are different from your more traditional frosted wedding cake. It is left in its natural, uncovered beauty, and the star is the spongy goodness of the cake itself. The fun does not stop at the beauty of the cake alone, but continues in its fillings and toppings- from frosting, fruits, berries, caramel, honey, natural flowers, and more! 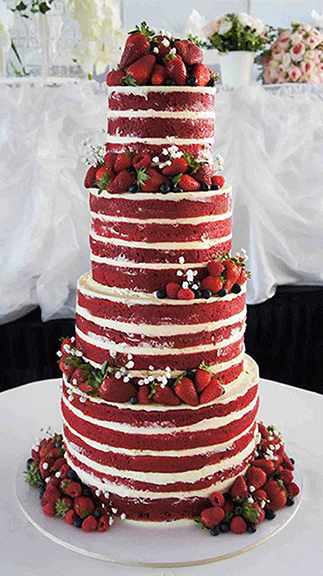 The "naked" cake can easily transcend a number of different wedding themes and styles.